A couple of years later, I joined him in the Netherlands and we started living together. The entire process of moving in together represented for me a big leap as it also coincided with becoming an expat, going back to studies, learning a new language( Dutch) and, besides all of this, getting to know a bit more about the cultural background of my significant other. The entire process wasn’t a comfortable one, but also not a hassle, as living abroad taught us to welcome change and not to be afraid of life’s tussles. Years passed and our daughter was born. She was blessed by a woman rabbi and baptized as Orthodox Christian. 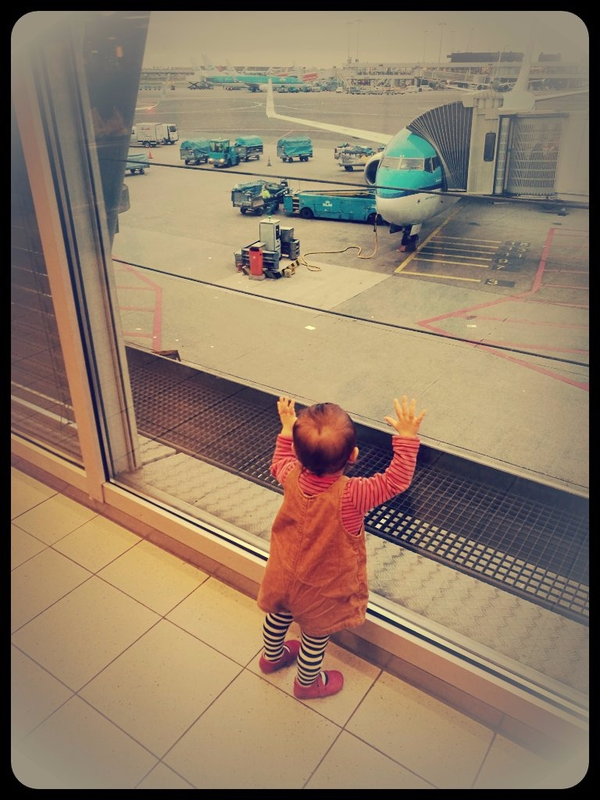 Today she’s only 18 months old, but she travels every second month from Amsterdam to Bucharest, or Tel Aviv, to visit her families. She learns to say her first words in English, Romanian, Hebrew and Dutch and she very much enjoys the Israeli meals made by “Aba” (father in Hebrew) and the Romanian ones made by “Mama”. She is gradually building herself roots in more than one country and, in the end, without even knowing it, she will become the product of many cultures. For us, diversity but also freedom of movement are facts of life. The same applies for her toddler-friends, who come from all over the world. We are a cross-cultural, interfaith, family and we represent the archetype of a society that values human mobility and diversity, overcomes stereotypes and teaches people to focus on the similarities among different cultures, but also to see the Planet as a big courtyard, where we are all ONE. In our world, the borders get broken down and distances compress. From this perspective, living in the Netherlands is an absolute blessing as here the values mentioned before are sought by the big majority of people. In our motherlands, however, families like ours still face some challenges, but we prefer to remain positive and hope that the future will bring more openness. Understandably we regard with skepticism any public discussions that could bring back burdens to human interconnectedness or people’s mobility as we imagine our daughter growing up as a citizen of a world where people are allowed to be whoever they want, whenever and wherever they want. For many, such a world could only be a “utopia”, while for many others is a mundane reality. With this in mind, we’ve decided to share pieces of our “normal” life and to invite all of you, who believe in such a world, to let us know your life experiences and to build together a community of similar ideas. Looking forward to reading all the pieces of your normal life that you decide to share with us. Good luck with your project! So beautiful! This a story of LOVE, true love, where religeon, culture and roots met in the ultimate form of a CHILD, who is the expression of them all. This is a lesson we should all learn, because we are all citizens of planet Earth! And we should learn from each other and have the benefit of the essence of all religeons and cultures , which is LOVE and TOLERANCE! This speaks to me on so many levels! Your daughter has an amazing destiny ahead of her. I look forward to reading you more. God Bless.